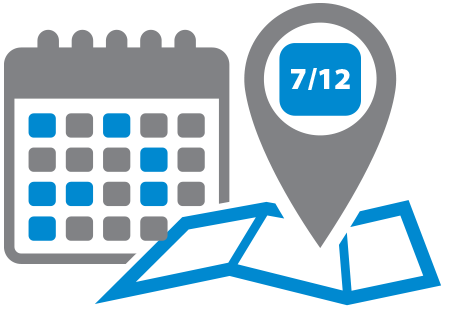 Starting today, you can set automatic due dates by location, plus we're giving vendors a way to enter their W-9 information in their profile. All the details are in the release notes, and the highlights are below. Turn time expectations vary widely throughout the country, so if you're serving multiple areas you might need to take this into consideration when setting order due dates. Starting today, your automatic settings can be configured to set different due dates according to the subject's county, state, or even zip code. It's a great way to tweak your automation as you expand your geographical coverage. To start using this feature, call your Mercury Network account manager. We heard from many of you that you need your vendors' taxpayer information when remitting payments. So, to help avoid payment delays caused by missing data, this update adds a way for vendors to add their W-9 information to their Mercury profile. Then, in an update coming soon, we'll add a way for you to view their W-9 just as you would any of your vendors' other documents. If you've marked some of your vendors as Staff, we'll now prioritize them above other vendors who are equally eligible during order assignment. This means that, when two or more vendors are equally ranked according to all your Intelligent Selection Settings, the vendor who is marked Staff will appear above the other vendors during the Vendor selection portion of the order process. Most of these improvements come directly from your feedback, but in some cases, we're improving things behind the scenes to keep Mercury reliable and secure. For example, in this update we're continuing to improve security as it relates to information that users enter into Mercury Network orders. As always, we love to hear what you think and any ideas you have to improve Mercury, so keep it coming to info@MercuryVMP.com.